All-purpose, center-cut jaws for soft, medium, and hard metals. Forged, alloy tool steel jaws are precision ground for sure, efficient cutting and long life. 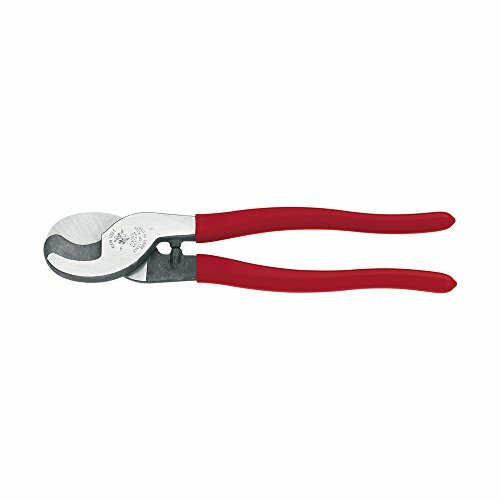 The red steel handles have heavy vinyl grips with flat grips ends for 90-degree cuts. Cutting capacities for hard materials is up to Brinell 400, Rockwell C42. For more than 160 years, Klein Tools has manufactured premium-quality, professional-grade hand tools that deliver the performance, durability and precision needed to get the job done right. Our family of engineers, workers and craftsman continue to put six generations of expertise into every tool we create by using only the highest quality materials, superior workmanship, and keeping manufacturing as close to home as we can. Klein isn't just the name of our company, it's also our family name. And since we're an American company that's family-owned and family-run, you know you can count on us to be here tomorrow. Klein Tools doesn't just make great products, we make great products that stand up to the demands of the professionals who use them every day ... Since 1857. It easily slices through guy strand in just one cut. The spring-loaded cable retention hook keeps strands from slipping out allowing even the toughest materials to be sliced in one cut. 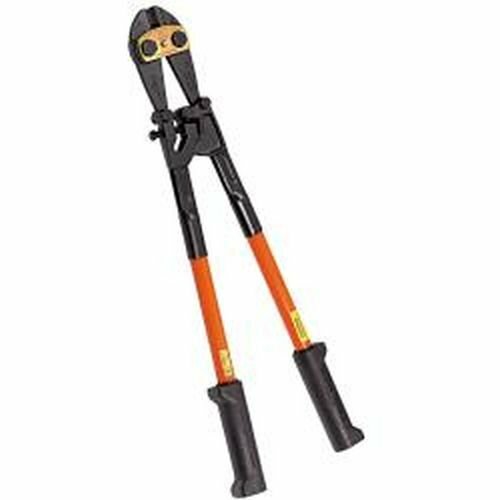 The smooth ratchet mechanism makes this bolt cutter the easiest to use on the market. Just open, snap and cut. Lifetime warranty. For more than 160 years, Klein Tools has manufactured premium-quality, professional-grade hand tools that deliver the performance, durability and precision needed to get the job done right. Our family of engineers, workers and craftsman continue to put six generations of expertise into every tool we create by using only the highest quality materials, superior workmanship, and keeping manufacturing as close to home as we can. Klein isn't just the name of our company, it's also our family name. And since we're an American company that's family-owned and family-run, you know you can count on us to be here tomorrow. Klein Tools doesn't just make great products, we make great products that stand up to the demands of the professionals who use them every day ... Since 1857. 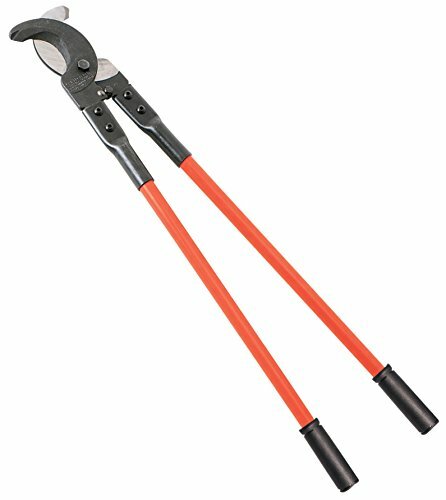 This replacement head for Klein's 24-1/2'' fiberglass-handled bolt Cutter (CAT. No. 63124) includes the blade, bolts, screws and associated parts. The forged, alloy tool steel jaws are precision ground for sure, efficient cutting and long life. The cutting capacity for soft/medium materials is up to brinell 300, Rockwell C31 and up to brinell 400, Rockwell C42 for hard materials. One adjustment realigns cutting edges. Not designed for cutting cable. 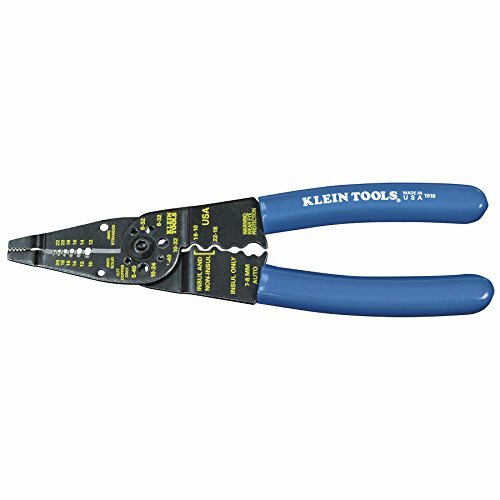 This Multi-Purpose tool from Klein Tools performs 6 different functions in the same tool. It can cut and strip wire, cleanly shear bolts, and much more. The plastic-covered handles are cushioned for added comfort. Easily cuts and strips 10-22 AWG wire. 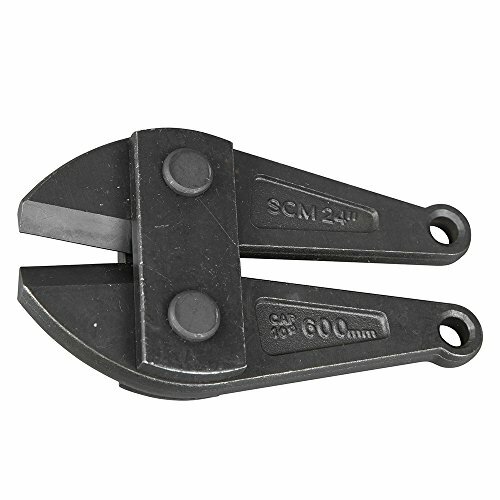 Cleanly shears 4-40, 6-32, 8-32, 10-24 and 10-32 bolt sizes. Measures stud sizes. For more than 160 years, Klein Tools has manufactured premium-quality, professional-grade hand tools that deliver the performance, durability and precision needed to get the job done right. Our family of engineers, workers and craftsman continue to put six generations of expertise into every tool we create by using only the highest quality materials, superior workmanship, and keeping manufacturing as close to home as we can. Klein isn't just the name of our company, it's also our family name. And since we're an American company that's family-owned and family-run, you know you can count on us to be here tomorrow. Klein Tools doesn't just make great products, we make great products that stand up to the demands of the professionals who use them every day ... Since 1857. Make a clean, even cut for ease in fitting lugs and terminals. Not designed for cutting steel or ACSR. For more than 160 years, Klein Tools has manufactured premium-quality, professional-grade hand tools that deliver the performance, durability and precision needed to get the job done right. Our family of engineers, workers and craftsman continue to put six generations of expertise into every tool we create by using only the highest quality materials, superior workmanship, and keeping manufacturing as close to home as we can. Klein isn't just the name of our company, it's also our family name. And since we're an American company that's family-owned and family-run, you know you can count on us to be here tomorrow. Klein Tools doesn't just make great products, we make great products that stand up to the demands of the professionals who use them every day ... Since 1857. 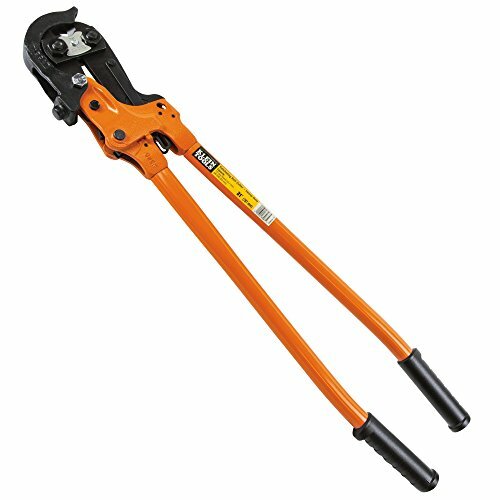 Compare prices on Klein Tools Bolt Cutter at Shopsimal.com – use promo codes and coupons for best offers and deals. We work hard to get you amazing deals and collect all avail hot offers online and represent it in one place for the customers. Now our visitors can leverage benefits of big brands and heavy discounts available for that day and for famous brands.